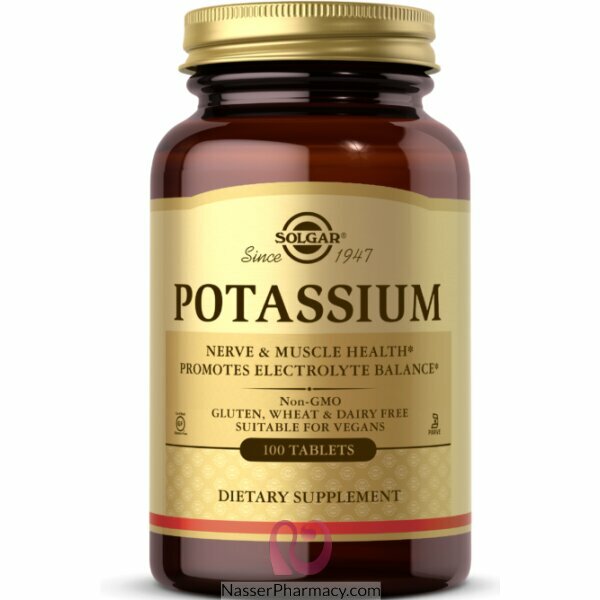 Potassium is an essential mineral needed by the body. It is found naturally in foods like green leafy vegetables, sunflower seeds, potatoes and bananas. It is vital for muscle activity. As an important electrolyte, it regulates nerve signals from the brain and spinal column to muscles, thus promoting healthy neuromuscular function. It also promotes proper fluid balance in the body and helps to attract nutrients into cells. Description:May help to promote calcium absorptionMay help to maintain adequate serum concentrations.. Description Since 1947 (Riboflavin) Gluten, Wh..